Character change brings a lot to our stories, but the more dramatic the change, the harder it is to craft. That’s why arcs that transition characters between good and evil are some of the most difficult but also the most rewarding. Previously, I’ve covered arcs that transition heroes to villains and take a character from a hero to a villain and back again. Now I’ll focus on what’s called the “heel face turn” – a character’s redemption arc. What Exactly Is a Redemption Arc? “Redemption arc” is a vague term. Arcs that qualify come in a variety of forms. I’ll give these forms names so I can refer back to them as I go. Sacrifice Arcs: Use these for villains like Darth Vader, who make a heroic sacrifice at the end of the story, often dying in the process. These work well for villains who have committed such heinous crimes that your audience wouldn’t enjoy their presence on Team Good. Temptation Arcs: These are for villains like Zuko or Spike, who waver, caught between good and evil, before permanently siding with Team Good. These arcs work well for characters with lighter crimes who are viewpoint characters or in the main cast. Their path to goodness fosters lots of juicy interpersonal conflict. Forgiveness Arcs: Use these for former villains or anti-heroes like Furiosa, who have blood on their hands. If your villain switched to Team Good at the end of the last story (perhaps with a sacrifice arc), these will give them an arc in the current story. All of these arcs feature a transition from evil to good, but they include different stages in that transition. I will cover every stage and mention which arcs each stage is needed for. Let’s get started with those stages. Before your villain can convert to Team Good, you must plant seeds that will grow into a change of heart. Use for: Sacrifice and temptation arcs. This stage can also help you develop a character undergoing a forgiveness arc, but it isn’t necessary. Wanting to do something good so badly that they didn’t care how much evil they caused in the process. Their ultimate goal could be saving or reviving loved ones, creating a perfect world, or curing a disease. Blind loyalty to something or someone that wasn’t worthy of their devotion. That someone or something might have saved their life, protected their loved ones, or raised them from a child. The character might have even been manipulated or brainwashed into thinking they were on the good side. Hatred and spite they feel toward groups of people they believe are responsible for their own misfortune. Maybe they think these people stole what the character deserved or destroyed something they loved. Your villain needs a catalyst to inspire change from within. This will be something they haven’t previously encountered in their time as a villain, something that gets their attention and pulls on their heartstrings. They could meet someone new – probably one of your heroes. This person could get their attention by reminding them of someone they lost or by doing something unexpected. They are drawn to this new person. They discover something they consider sacred. Perhaps they thought their people had been exterminated, only to find a hidden village where they are still living. They might find a holy book or wander into a magical oasis. They are reminded of better times. Perhaps they uncover an old temple that demonstrates how their order used to protect the weak instead of taking advantage of them. They might find a cache of old belongings that allows them to remember who they once were. Gradually, they will start to spend more time with their good influence and grow more attached. As this happens, evil will begin to lose its grip on them. They might hesitate to commit crimes or question the orders of their leader. Distribute hints of their changing loyalties, but don’t put them in an open confrontation with Team Good or Team Evil. We do that in later stages. The villain is no longer evil, but isn’t good yet either. They make incomplete and unwise decisions about what to fight for. Use for: This stage is the bread and butter of temptation arcs. It’s optional for sacrifice arcs. A conflict with a hero. If one of your heroes is the villain’s good influence, they may be angry with the villain for doing something immoral. Saying goodbye to Team Evil may be the only way for the villain to maintain their relationship with this hero. A conflict with Team Evil. The villain’s master or other villains may have noticed the wavering villain isn’t fully dedicated to their cause. They could cast the character out. Then the wavering villain might need to join Team Good just to survive. A big reward. Team Good might have gotten their hands on some powerful magic or technology that does something the villain couldn’t achieve any other way. An outside threat. The villain might be unable to defeat a large threat by themself, so they’re motivated to make peace with Team Good and, in doing so, gain powerful allies. An order by a superior. The villain could have been ordered by their master to spy on Team Good. Team Good or the general public is rightly suspicious and hostile towards them. If the villain switched sides to get the approval of their good influence, they may have expected that everyone would just forgive them. They may feel hurt and angry when they don’t get the welcome they think they’re entitled to. They don’t enjoy the same luxuries they had as a villain. Perhaps before they had a feather bed, expensive wine, and servants to cook their meals. Now they are expected to sleep on a cot, eat porridge, and work to earn their keep. The influence that kept them evil still has a hold over them. As part of Team Good, they are unable to continue these questionable pursuits. They might rebel by secretly holding onto things that tempt them toward evil. Their old master has become impressed by the prowess they’ve recently shown and offers them their old position back. If the villain was a spy, their master may simply decide they have all the information they want and call the villain back. They are reminded of past misfortunes, reopening the wounds that caused them to go evil. Something bad happens that discourages them from continuing their path toward good. After failing at an important task or being rejected by the heroes, they may decide they are meant for evil. While the wavering villain shouldn’t kill the heroes or do other unspeakable things, their choice to leave should still be a disaster for Team Good. They may sabotage the heroes’ plans during an important conflict, tipping the scales toward evil. If they have a positive connection with a hero, that connection will end in heartbreak. The villain is welcomed back to Team Evil. They get everything they thought they wanted: glory, respect, luxuries. But no matter how hard they try, they can’t enjoy any of it. They are bothered by small signs of cruelty that used to go by unnoticed. They don’t think gross jokes are funny, and even the fine wine makes them wonder about all the slaves that created it. Everything is the same as it was, so they are forced into the realization that they are a different person. The good influence you introduced and their encounter with Team Good have permanently changed them. The villain is forced to choose between the good things they value and their evil ways. They choose goodness. Use for: Necessary for sacrifice and temptation arcs. To force the villain to choose good, they must be the only one who can stop something heinous from coming to pass. Often this means they have an evil master who wants them to carry out an incredibly evil deed, but it also works for villains that are their own boss. In carrying on with their evil ways, they might have unleashed destruction at a level they did not foresee. Then it will be up to them to stop it. Heroes can be involved in the struggle, but they should be about to fail without the villain’s help. Maybe a hero assigned to a key part of Team Good’s plan was captured, and now there’s no one else to do it other than the villain. If the villain stands on the sidelines, it’ll be the same as choosing evil. If you are using the sacrifice arc, this is the climactic battle. Pull out all the stops to make this as epic as you can. Temptation arcs can also come to a head here, but they usually last for a while longer. Give up the goal they pursued at the cost of doing evil. This goal should be in easy reach when they give it up. Destroy their own forces, their own lands, their palace, or other assets that they wouldn’t have gotten far without. The level of sacrifice must fit the evil deeds of the villain and the placement in the story. For instance, Darth Vader committed so much evil that only giving up his life was appropriate for his deeds. In addition, his conversion to good was the end of his arc, and the end of an arc requires a powerful moment of catharsis and closure. If you are using a temptation arc or your villain isn’t finished on their journey, you can use a lesser sacrifice. It must be significant enough to prove their devotion to good, but it shouldn’t be enough to wipe their hands clean. In addition, Team Good does not need to witness their sacrifice. If Team Good remains mostly ignorant, it will make later stages of the character’s journey more powerful. The villain-turned-hero may be dedicated to good, but that doesn’t erase all the crimes they’ve committed. Use for: Forgiveness arcs open here. If you’re using a forgiveness arc, make this strong. Temptation arcs can gloss over this or include it. This creates a clear problem in need of solving, making a good opening to a new arc. The character receives a call to action. This sharpens their grief into a tool for good. Most often, the call is a problem in need of solving. Perhaps a new villain or a natural disaster comes along, endangering lives. Other heroes may be dealing with this problem, but they are struggling. Problems will be especially compelling if the hero is uniquely suited to solve them. Maybe this is because of their villainous experience; the instigator could be someone they know from Team Evil. Or perhaps the hero’s skills are a strong match for the task at hand. Otherwise, you could simply give the new hero a push out the door. They decide to go on a quest to make up for their misdeeds. The character journeys down a long hard road to redemption. Use for: Forgiveness arcs and most temptation arcs. Even though the former villain has proven their commitment to the story’s audience, the characters in the story should be more skeptical. When the new hero tries to help with a big problem, Team Good in particular will send them away. When the hero begs to help, all of their crimes and all of their lies will be thrown back in their face. The hero should be okay with that. Unlike the false switch to good, in which the villain feels entitled to forgiveness, with a true switch the former villain does not ask for it or expect it. All they ask is that they be allowed to work for the benefit of others. To make this stage more dramatic, the hero can fail to convince anyone for a while. They don’t give up. Instead they stand vigil or do what they can without cooperation. Eventually this changes someone’s mind in their favor. The new hero works to help people and make the world better day after day, without any kind of reward. That means no praise, no payment, no creature comforts. These rewards should be offered rarely, and when they are, they should be turned down. The character might toil completely out of sight, face regular ridicule, or only work on degrading tasks. This proves that their work is not about any benefit to themself, but for the benefit of others. If you give your former villain any kind of glory, their penance will be diminished. Depending on the severity of the hero’s past crimes, this can go on for a long time. Another crisis occurs, and the hero is put to the test. Because of their newfound wisdom or selflessness, they are able to save many others. Their contribution is highly visible, allowing them to finally receive recognition for their heroism. If you are creating a temptation arc and the sacrifice that converted the villain into a hero was relatively small, this may even be a good place to put in a larger sacrifice. After proving their worth, the hero could die. The former villain’s work may not be done, but their arc is at an end. The most important thing to remember is that not all your characters have to forgive the hero. In fact, in some cases that would be problematic. If your former villain’s misdeeds are close to home, resembling bigotry, abuse, or another real-life predatory behavior, resist having their victims forgive them. * Equating forgiveness from victims with a happy ending creates an unfair burden on real-life victims and makes audiences feel like the story prioritizes the abuser over their targets. For forgiveness and temptation arcs, what’s important is that the hero forgives themself. This doesn’t mean they have to discontinue their humble work; it just means they are at peace. A character on a forgiveness arc will enjoy simple luxuries without guilt. A character on a temptation arc can reclaim the worthy parts of their life as a villain without worrying they’ll fall back on bad habits. For a character that sacrifices their life, outward recognition is more important. That’s why these villains usually have a hero to speak to as they lay dying. The villain doesn’t have to ask for forgiveness in their final scene; they can simply express their regrets and voice their hope that the hurt they caused will heal. Then if no outright forgiveness is appropriate, a side character can just acknowledge their sacrifice and give them a little humanitarian comfort. Redemption arcs can be fun, rewarding, and popular with audiences. We all want to believe that anyone, no matter how far they’ve fallen, can turn their life around. If it’s important for a victim character to forgive your former villain, consider altering the crimes to make them less sensitive in nature. I’m not sure I’ve seen a lot of forgiveness arcs. You mentioned Furiosa, and I think the episode where Zuko joins the team follows this pattern as well. What are other examples of characters that follow a forgiveness arc? My current story opens with my protagonist making a hasty decision to change sides, and this article put forth some very useful points that will help me handle it! Thank you! Would Sandor Clegane (AKA The Hound) from Game of Thrones count? He seems to be on a kind of forgiveness arc. The Hound definitely looks like he’s on that arc. Actually, in Fury Road Mad Max himself would have been a better example than Furiosa. In the beginning of Fury Road we see how his past haunts him, but he’s not doing anything productive to make up for it. He joins up with Furiosa and after working with her a bit, he starts to risk himself so the group can survive, even telling Furiosa to leave without him if he doesn’t return. That’s basically his penance. His choice to go after them and tell them to head back the way they came, and his choice to risk his life going with them, is how he proves his worth. At the end he refuses any rewards he could get for risking his life helping them. Great article! Very helpful as I have a villain turning to team good who deserves his own story. 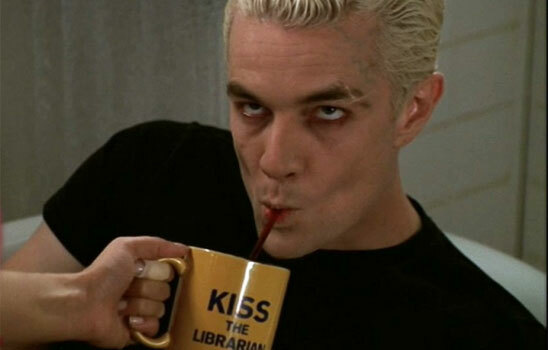 But I particularly like the pic of Spike. is there a study on this as well as the hero’s journey?